This is a handmade bib for your baby in the popular bandana style! Made with quality fabrics that are fashionable and functional! 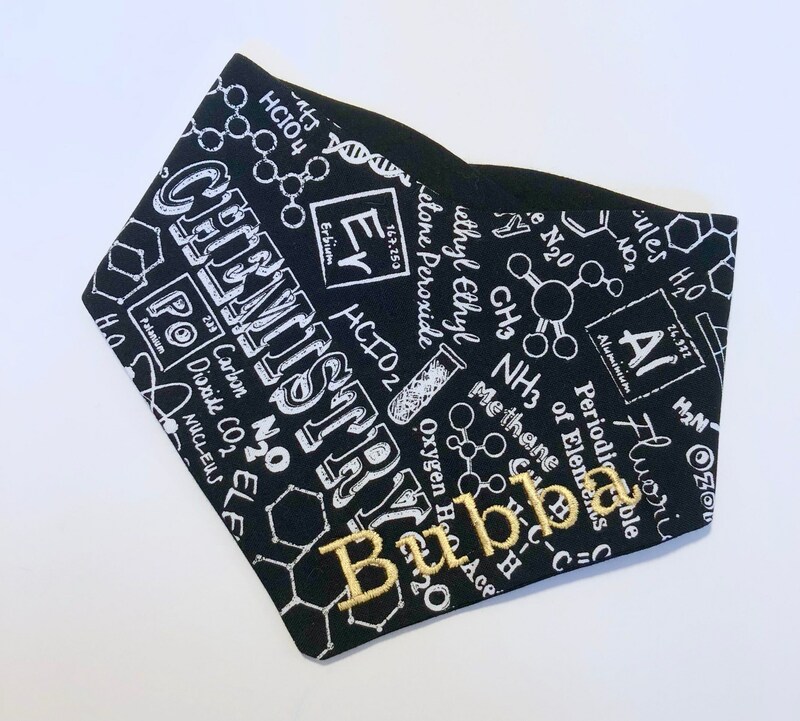 Start your little one’s love for science early with this personalized bib bandana with Chemistry print. Their name will be embroidered on the chemistry print side of the bandana in a gold thread unless you have a different preference. Just leave the name in the order comments!